Today in Masonic History Harold Clayton Lloyd, Sr. passes away in 1971. 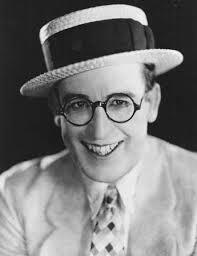 Harold Clayton Lloyd, Sr. was an American silent film star. Lloyd was born in Burchard, Nebraska. In 1910, after several failed businesses belonging to his father, his parents divorced. Lloyd's father moved with him to San Diego, California. Once in California, Lloyd who had already been acting, got a job in the fledgling film industry. In 1912, he got a job working for the Thomas Edison motion picture company. He would also get jobs in Keystone comedies. The following year Lloyd and his friend, filmmaker Hal Roach, began collaborating. The two man would open their own studio and begin making films. In 1914, Lloyd had hired Bebe Daniels to be his leading lady. The two would develop a relationship that would end in 1919 when Daniels went to seek more dramatic roles. To replace Daniels, that same year, Lloyd hired Mildred Davis. A relationship would spark between Lloyd and Davis and the two would eventually marry. The couple would have two children and adopt a third. They would remain married the rest of their lives. By 1918, Lloyd and Roach had begun developing an ongoing character for Lloyd to portray in movies. The character Lloyd referred to as his "Glass" character. The "Glass" character would appear in many films including the silent film Safety Last! which is still on the American Film Institutes top 100 most thrilling movies. Through the 1930's Lloyd's popularity waned. By 1937, Lloyd had sold his movie lot in California and had largely retired from film making. It wasn't until 1947 that Lloyd would star in another big picture which was named The Sin of Harold Diddlebock. The film was a homage to Lloyd's career and used footage from his previous films in the movie. Howard Hughes who was one of the producers shelfed the film after a limited release. In 1951, Hughes had the film re-cut and released it as Mad Wednesday. Lloyd hated the film and sued Hughes, RKO Radio Pictures and the California Corporation for damages to his reputation as an actor. Lloyd would win the suit and would receive $30,000. In 1953, Lloyd would receive a special Academy Award. The award was for being a "master comedian and good citizen". The "good citizen" was meant as a snub to Charlie Chaplin who at the time had run a foul of McCarthyism and his visa allowing him to enter the county had been revoked. Lloyd passed away on March 8th, 1971 due to prostate cancer. In 1925, Lloyd was raised a Master Mason in Alexander Hamilton Lodge No. 535 in Hollywood, California. In 1949, Lloyd was selected to be the Imperial Potentate of the Shriners of North America. At the installation ceremony held at Soldier Field, there were more than 90,000 people present. Among the guests was sitting President Harry S. Truman. Lloyd was also a member of Scottish Rite and York Rite. He was ccronated a 33° mason in 1965.